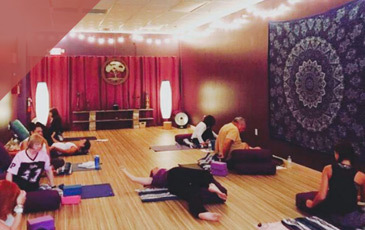 Our Yoga Den studios can be found throughout the greater Jacksonville at Fleming Island, Mandarin, Southside, Avondale, and World Golf Village. At each of our studios, we seek to foster a place of openness and understanding. 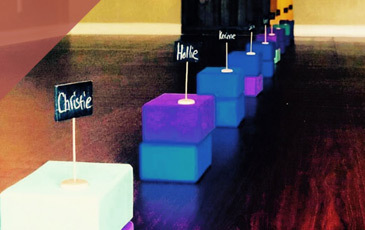 That is why we are committed to providing a space that goes above and beyond the confines of a traditional yoga studio. For those of our readers who are interested in becoming a yoga instructor, we have several different yoga instructor training courses, which includes our 200 and 300 Hour Teacher Training Classes. We are also proud to offer a well-developed Health And Wellness Center, which has a variety of services and benefits. As summer is fast approaching, that means most people are getting more active. With that activity comes a natural re-awakening of joints and muscles. Sometimes, that isn’t always a pain-free process, and can require the addition of supplemental therapy. We are happy to offer an array of massage types at our Health and Wellness Center, along with our array of acupuncture options. 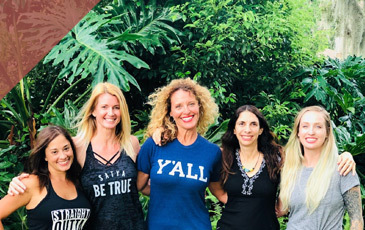 Continue reading if you are interested in learning about how Yoga Den goes outside the realm of the traditional yoga studio format, so that our clients can have an opportunity for holistic health. Therapeutic massage is a phrase which covers many different practices areas of massage. When you receive a therapeutic massage from Yoga Den’s therapist, they will take you through a series of assessments before applying medium to soft pressure on soft tissue, muscles, tendons, ligaments, fascia, and the structures thereof. One of the chief benefits of therapeutic massage is the increase of circulation in affected areas of the body. This has been shown to be beneficial for people with chronic, physical conditions, in addition to being an effective stress reliever for many of our clients. Offering more than yoga lessons, Yoga Den also provides NMT for our Floridian clients. NMT addresses both acute and chronic pain syndromes via massage, flexibility stretching, and home care. The goal of this well-rounded treatment is to provide balance between the nervous and musculoskeletal systems. One of our clients’ favorites, deep tissue massage promotes a greater blood flow by loosening the fascia and breaking up inhibitors. The primary benefits of deep tissue massage are deep pain relief, the release of muscle tension, the loosening of scar tissues, and is also quite effective in treating problems related to the overuse of a certain muscle group. Trigger Point Therapy uses cycles of isolated pressure and release to get to the root causes of pain. Utilizing deep breathing techniques (which you probably learned from a Yoga Den yoga class), trigger point therapy is characterized by client participation and helping solve tightness within an acute region of muscle tissue, so that clients can naturally manage pain which may be difficult, if not impossible, to completely cure. If you’ve ever received a prenatal massage before, you’ll know that it needs no justification. But for those of you still on the fence, keep in mind that our technique is designed to be customized to the needs of each of our mothers. We can address a specific issue, or go with a more well-rounded approach. Regardless, we are confident you will feel refreshed, restored, and in less pain after you leave! At Yoga Den, we are proud to go beyond the traditional offerings of yoga courses with our variety of opportunities and services. If you are interested in addressing pain, relieving stress, and perhaps even sleeping better as a result, reach out to us at Yoga Den today!